Beautifully designed and offering many hard to find features, this modern home exceeds expectations. Built in 2003 and located across from Urban Park, a spacious open kitchen/pantry, stunning wood floors, great natural light and vaulted ceilings set the tone. The creative floor plan has five bedrooms and four baths, including two suites located on the main level. The kitchen has to be seen to be appreciated. There is ample counter space and cabinetry plus a large pantry and laundry room. The dining area and living rooms have easy access to the large covered patio. The master suite is highlighted by custom built-ins and a large walk-in closet, double vanities and a step-in shower. A second bedroom suite has a large jetted tub, walk-in closet and double vanities. 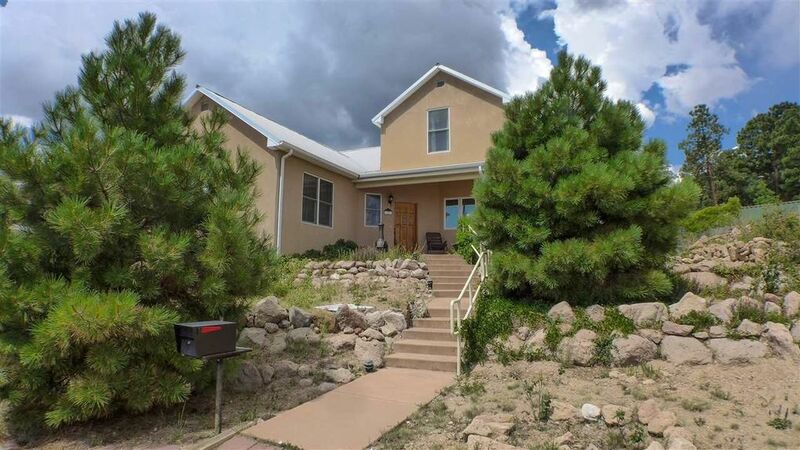 The upper level has a covered deck with spectacular mountain views along with vaulted ceilings, a second living area, home office with built-ins, a guest bedroom and large full bath with walk-in closet. The lower level has striking stained concrete floors along with two more spacious bedrooms that would serve equally well as additional home offices, studies or hobby rooms. There is a full bath and second laundry servicing this level. A one car garage, side yard dog run, side patio seating area and efficient xeriscaping as well. If possible, sellers would prefer to negotiate a second sale of the adjacent vacant lot to the buyers of this home. Please have your Realtor contact the listing broker to discuss this option. Directions: Diamond Drive to North Road. House is directly across from the Urban Park Tennis Courts.